Today's gift idea is another perfect one for any book lover - a handmade book tote by Story Snuggles. This would be perfect to carry books, groceries, or anything else you need to get from one place or another. And look at all of the cute designs she has especially designed for your favorite book lover out there. These aren't just your ordinary reusable tote bag though, they are handmade and each a little unique. Some have special library card pockets, other are fashionable clutches, and others have their own story to share. Story Snuggles also designs all sorts of other handmade items - custom bags, home decorations, felt stories, and pillows. She also has an entire line of children products because she believes reading should be something shared with the entire family, especially your kids. To win your choice of one of Story Snuggles book tote bags, all you have to do is leave a comment on this post. I think my favorite is the book love one but I'll let you choose your favorite. Follow Book Nook Club via GFC or on Twitter @BookNookClub. Check out Story Snuggles and tell me which of her products you like best. Giveaway open to US and Canada Residents only. Giveaway prize includes book tote of your choice and shipping. Giveaway winner will be chosen by random using random.org. Giveaway closes at midnight EST on Wednesday, December 14th. Don't forget to enter our other giveaways as the 12 Days of Christmas continues. I love the first bag that says I love my library card. I also love the ladybug tut and wings set. How adorable! 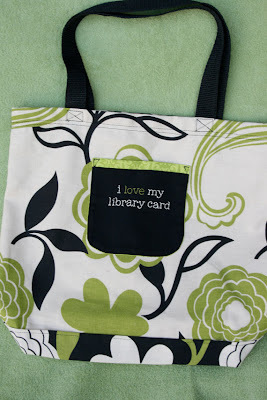 I not only love the first bag, "I Love My Library Card," I think I really need it too! No more balancing huge piles of books as I (frequently!) come and go from the library! I also really like the green "Read" tote. These are so cute...and practically. Thanks for a great giveaway. i love that orange one (i heart books)! so cute. My fave is the I heart books orange slingback. Cuuuuute! Great totes. I would love to have all of them. My favorite is either the orange I heart books sling bag, or the pink tote bag, can't choose one. I follow via twitter as jhitomi and gfc as jhb. I love them! So cute and practical! "book love" is my favorite. My favorite item from Story Snuggles in the Newsboy Monkey. I love the READ green tote bag! Those bags would be fantastic for going to the library!! I love the Little Brooke or Brookie, Owl Plushie!! These are soooo cute! I like the library card one. And I think my favorite is the "I love my library card." 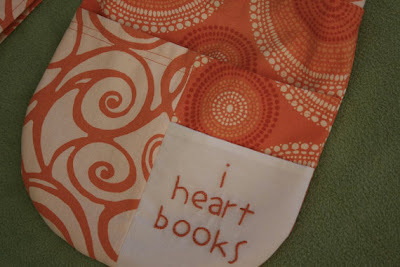 I like the heart books tote. Thanks for the chance to win! I would love to win this for my daughter, Kelsey, who loves trips to the library. Thank you for the chance. 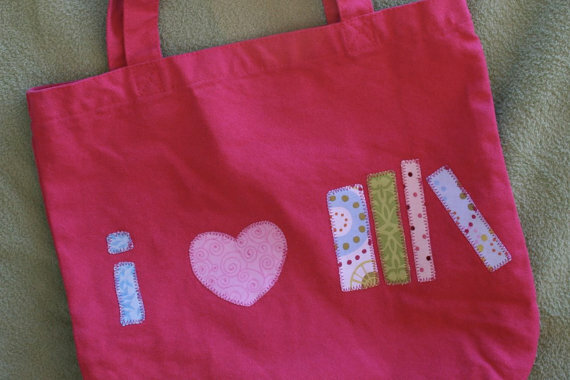 I like hte "I heart books" sling bag! 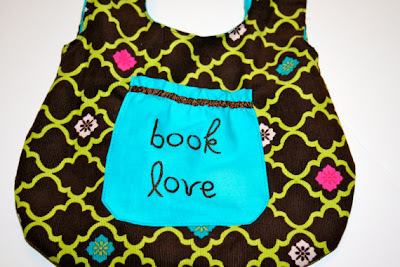 I like the Book Love tote too. i love the i <3 books one !! Looove love love !!!!!!!!!!!!!!!!!!! and i follow you on twitter, amazing blog!!!! !